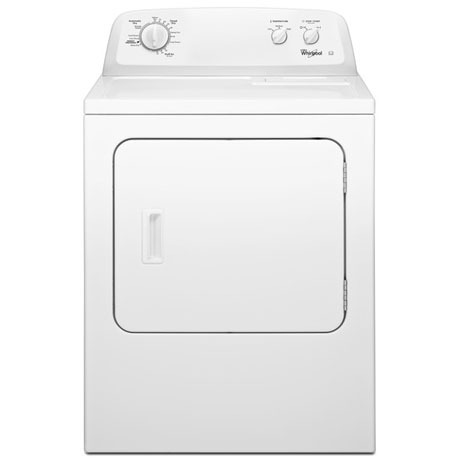 This Whirlpool Tumble Dryer (Commercial) is in the style of a classic American front loading dryer. This dryer is the professional drying option for any businesses that require power and consistency. Featuring multiple functions with variable vented drying times this machine is perfect for hotels, b&b’s, social housing, care homes, plus many more. Boasting a generous 15 kg capacity this means that almost all of your linen and laundry can be dried at any one time, making it perfect for businesses that need dry clothes, bedding and linen in a timely manner. As is standard, a front loading and removable lint tray is easily accessible for any operator or user, preventing issues that are often attributed to lint build up within drying units. 13 distinct programmes can be used for dialled-in control of your drying procedure, with specialist cycles for the varying clothing and linen being dried within. These programmes are easily managed with effortlessly simple to use dial controls, which provide audio and visual feedback for quick management before, during and after the drying cycle. Being a powerful commercial unit, you would expect this dryer to be an imposing figure, but instead it cuts a slimline shadow with surprisingly lightweight dimensions of 737mm (w) x 717mm (d) x 1011mm (h). A deceptively compact unit considering the power and capacity it has been designed to provide. For businesses and commercial enterprises that require access to world-class laundry drying solutions, this is a convenient but powerful commercial grade dryer that has been designed to be simple, robust and affordable. Those seeking a washer and dryer combination are advised to see the entire Whirlpool Atlantis range for incredible value and performance in similarly priced and designed units.